Okay I'm back after a fairly sucessful test run of the 924 (its a 1979 NA) at the Ohio Mile last weekned. As I'd assumed the Bonneville gearing it has was a mismatch for that shorter distance with the result that the car was only able to make 133.6 MPH (in fourth gear @ 7,900 RPM's). The engine peaks at 8,150 and calculationaly it should run 159 in fifth - but only if it can red line in that taller gear. Ergo my post. While I know it seems less than intuitive, lowering a car reduces aero drag, so I need to get the car about three inches closer to the ground. Lowering the front will be fairly straight forward with springs and camber plates, etc. 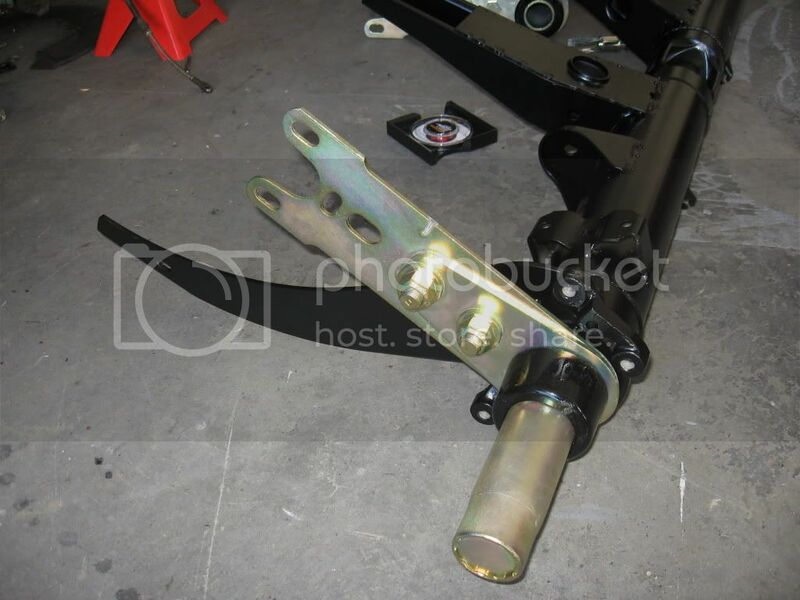 But the rear is another matter - at least for me, since I've never dealt with the torsion bar set up used in the 924. I searched the web (to include youtube) for a clear step by step set of instructions on reindexing the torsion bars and so far haven't found what I'd call the definive "how-to" instruction guide. Anyone with that write up, or a link to it that they would share would be most appreciated. BTW, I assume I can cut holes in the rocker pannels to access the bars and therefore eliminate the need to remove the entire rear suspension to both make this change and to allow subsequent adjustments at the track if that's necessary. Is that correct? Check Spec944.com for a pretty thorough write-up. Now that is downright beautiful! I don't think cutting holes in the rocker panels will be worthwhile; with these later 924s, you already have some adjustment built into the spring plate with those two very large bolts (24mm/36mm wrench), one of which is an eccentric. Just get it in the ballpark with the re-indexing. Be careful to watch out for the bump rubber; you'll be on it with lowering, and we've had to cut ours down to half-height to avoid impacting handling. But if you're running stock torsion bar sizes... well, let's just say it'll be a good thing you're not turning!